Right after we came home from KY (approximately 12 hours after) I was back on a plane for Las Vegas to begin research for my dissertation. To save money, I stayed for 8 nights, though I only needed to be there for 4. (It’s still amazing to me that staying twice as long saved me hundreds of dollars). The Mr. didn’t want me spending a week in Vegas alone, and he couldn’t come with me, so thankfully my mom was able to come with me. It was her first time there, and it was fun for me to experience it with her. 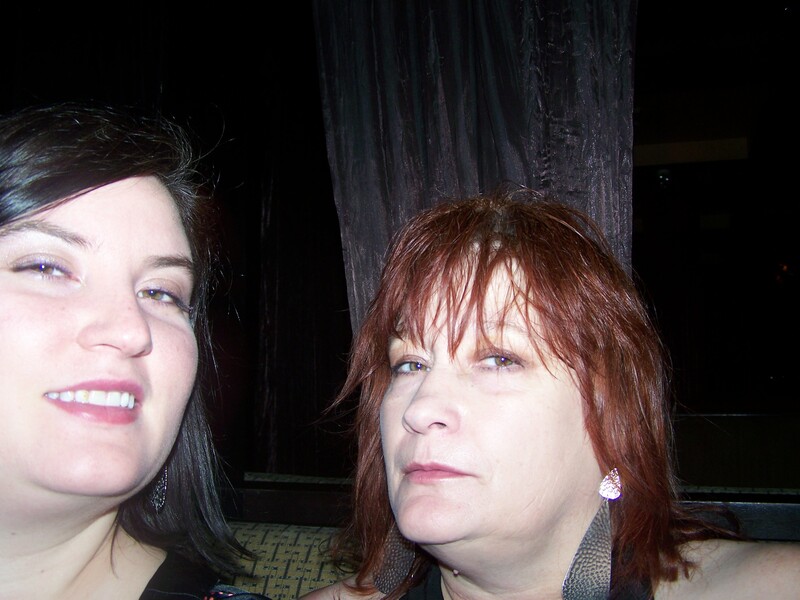 We had a really great time, but came to the conclusion that 8 day in Vegas is way too long. I think we were both over it by about day 6. Also, we discovered (or confirmed?) that we’re not the best travel buddies–particularly in a place like Vegas. Mom is much more of a party-er than me, and I’m much more a tourist-type, wanting to walk and see everything. We tried to strike a balance between the two, and I think we achieved it pretty well. 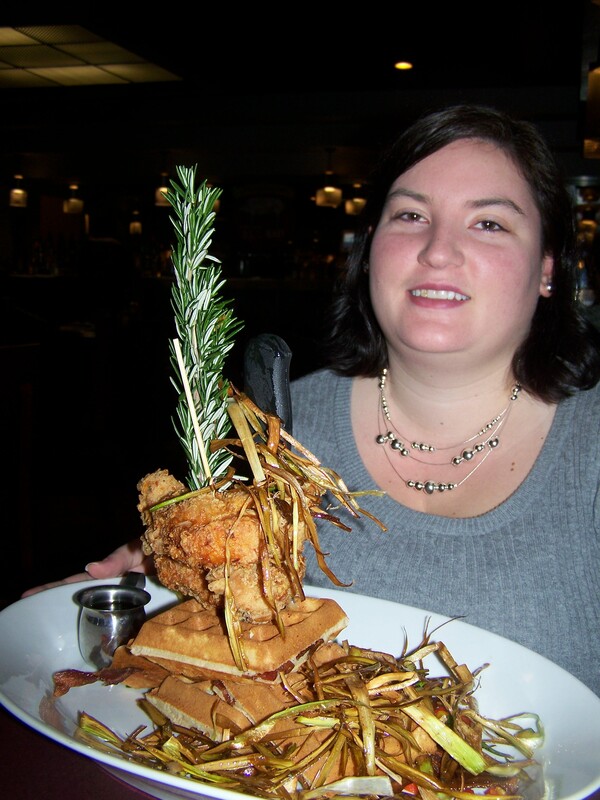 A foot high plate of food at Hash House A-Go-Go. All gussied up at Tao. I love this… I had a blast and think we should it every year on my birthday. I do party some more that my baby girl but she was a real trooper hanging in there with on most nights. She would not however get in the cage for a quick pic., silly girl. You two look beautiful in these pics. I’m so glad you had a great time together!! Love you both!! !